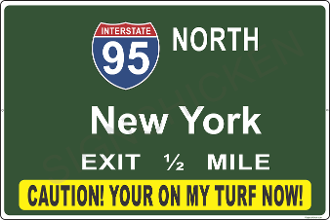 Our Products >> Interstate Signs >> Interstate 95 New York, Caution My Turf Now! Interstate 95 New York, Caution My Turf Now! This funny sign brings a little New York attitude along with it...ya know what I'm talkin about?